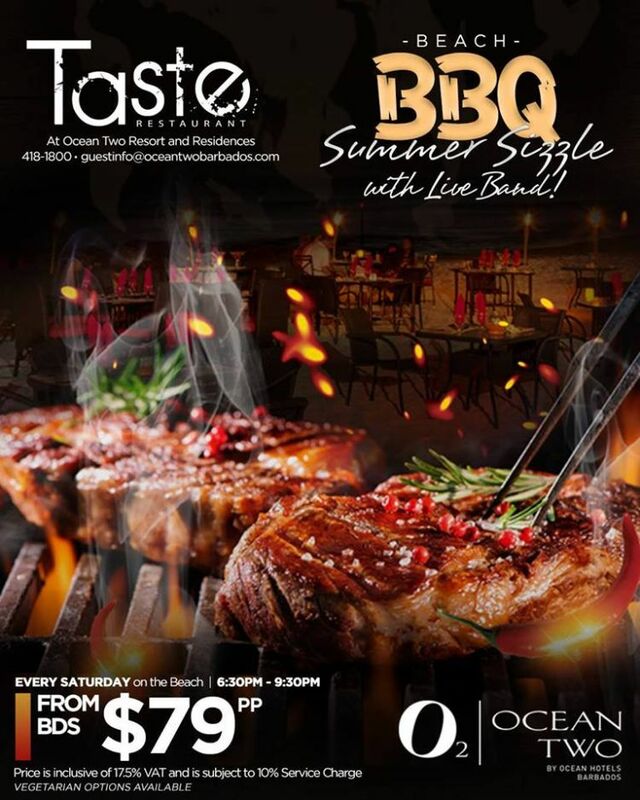 Enjoy this Saturday Beach BBQ under the stars at the 4-star Ocean Two Resort & Residences. Great steak, Roast Breadfruit Bar, fresh fish, delicious chicken and a fabulous buffet. ALL options entitle patrons to return to buffet!